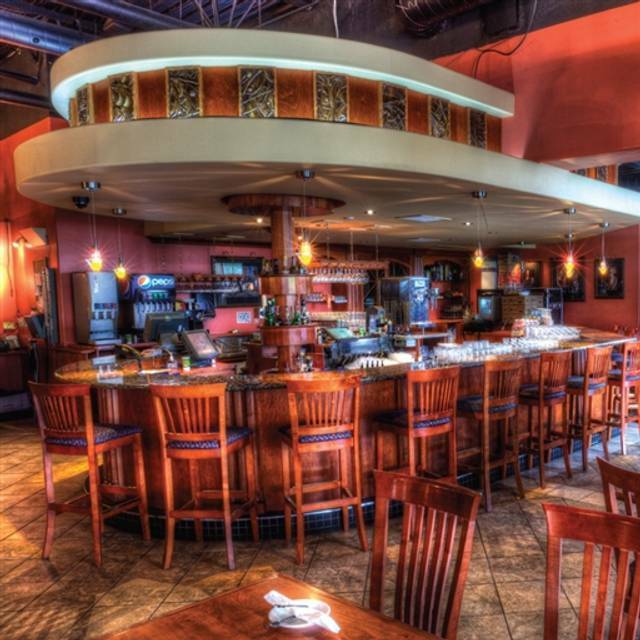 You must make reservations at least 5 minutes in advance of the time at Copacabana Brazilian Steak House - Niagara Falls. Samba shows take you on a trip to Brazil's Carnival, showcasing the glamour, rhythm and color that is Samba. Capoeira show, Brazilian martial art combining the excitement of fight, acrobatics, dance and music. Friday Shows 7:30, 8:30 & 9:30. Saturday Shows 6:45, 8:45 & 9:45. Your experience at Copacabana begins with a trip to our "Galleria" where you will be tempted by fresh baked breads and dips from our open concept bakery; fresh cheeses cut from the wheel, and expertly hand sliced charcuterie selections. Help yourself to as much crisp salads and colorful starters you want, but leave room: Your experience is just beginning. Back at your table our Gauchos or Carvers will service you with a feast of various CAB (Certified Angus) grilled meats prepared in a number of ways. Simply tell your carver how you prefer your meat, (most come medium rare) and leave the rest to us! There is only one small task for you...As your Gaucho is Cutting at your table, use your provided tongs to simply grasp the top slab of meat and assist as he thinly slices a perfect cut of meat onto your plate, enjoy…and repeat as many times as you like! Good food and varieties of meat but not worth the price. It cost us $200, and the meat guys kept jumping our table. The variety of meat was poor (only beef ribs, cheese beef, chicken drumsticks, pineapple, cornbread and lamb came to the table). I spent $50 to eat terrible Cesar salad and 2 pieces of beef ribs .... That's it. They stuck everyone up in the same area, so it was so noisy I couldn't hear my friend on the otherside of the table. No... I'd never recommend this place to anyone. The staff here was so nice. I opted only for the salad bar butthey made sure to offer me lots of pineapple lol. This place is very expensive, but that is to be expected in this area. We enjoyed the Samba show. And obviously the meats were great (according to my family). Had a wonderful time..all the staff were terrific and the food was excellent! Our new go to place for sure. It was Easter dinner with family, meal was great, first time experience for all of us. Great food, impressive service! Always a great place to pig out! The many different kinds of meat give a great variety and they keep coming! The rodizio service was a bit slow in the beginning which impacted our overall dining experience a bit. Only after we had let our waitress know, we had more servers coming to our table. The food and atmosphere was great otherwise. If you do enjoy Salsa dancing and louder music, they do over live performances but as this was not of interest for us, it got quite noisy at that time. All in all a wonderful and very satisfying experience though. Great meat and salad buffet. The food was great and the servers were attentive! We were very happy! The salads from the buffet were really great, so much so that even though we were incredibly full at the end of the meal, we all went back for seconds. Love the idea of them coming around with meat on spits (made for a different experience) but for the high price tag, we were less than impressed with the meat that came around. 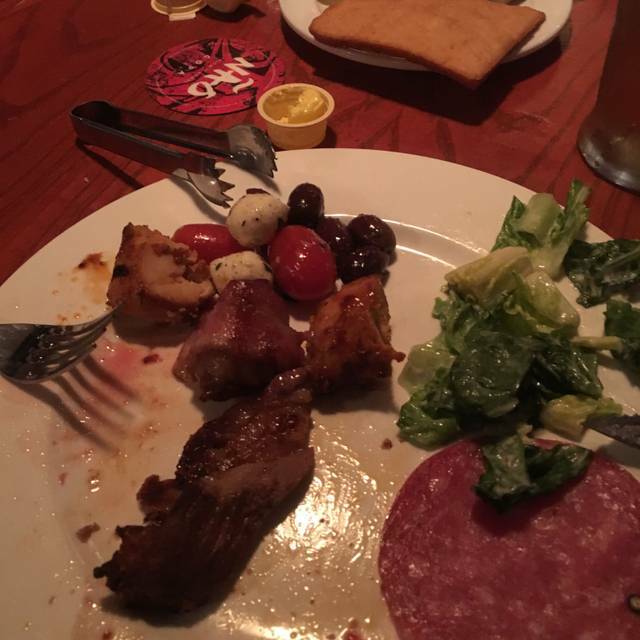 I had to leave half of the meat that I was served on my plate because it was very very fatty and inedible. 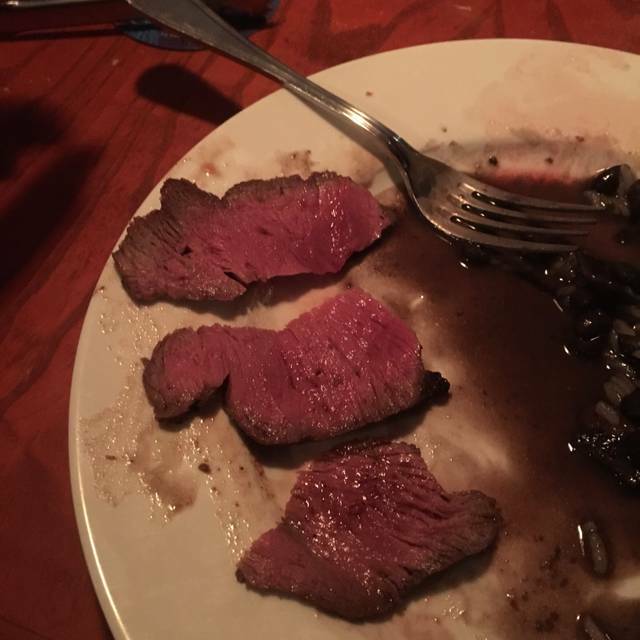 Dont get me wrong, some cuts were fantastic but again...for the cuts of meat that were fantastic vs the cuts that weren't really edible...it wasnt worth what I paid for the meal. Service was excellent. 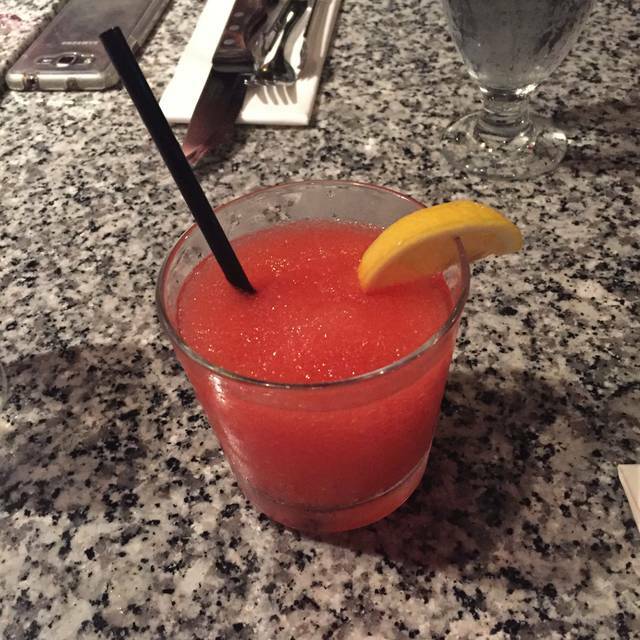 The pineapple was a must-try and out of the world. Similar to other Brazilian steak houses I've been to, although not the best. The salad bar variety was not as large as others I've been too, but it was sufficient. Besides, people come to these restaurants for the meats. The meats were good, but I didn't find them outstanding. There was some varieties that I didn't find as tasty (the barbecue one and chimichurri come to mind), but there were others that were fine. The atmosphere was okay, it wasn't busy, and our server (Nina) was very nice. The evening was great. 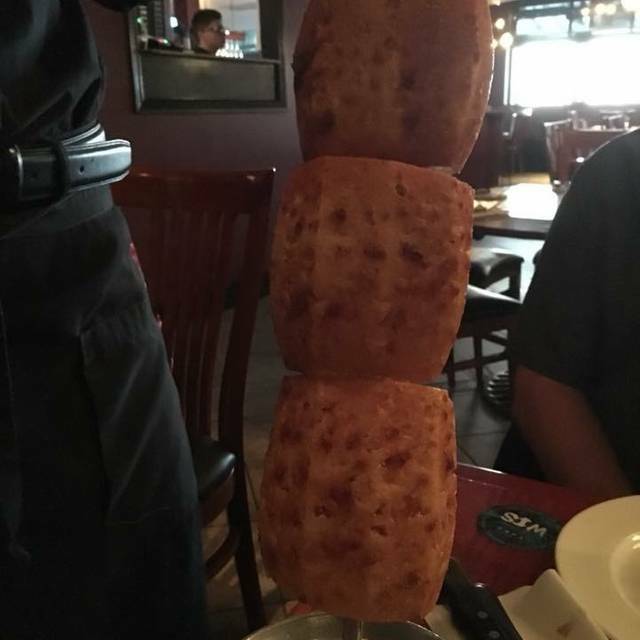 Our first time and the server had no problem explaining everything to us. We came to celebrate a birthday. It was the first time for most of our party. I hadn’t been there in 10 yrs because that experience wasn’t that enjoyable. This visit was different. The food was great. Our server was fabulous. We will definitely come back. Thank you for making our celebration special. 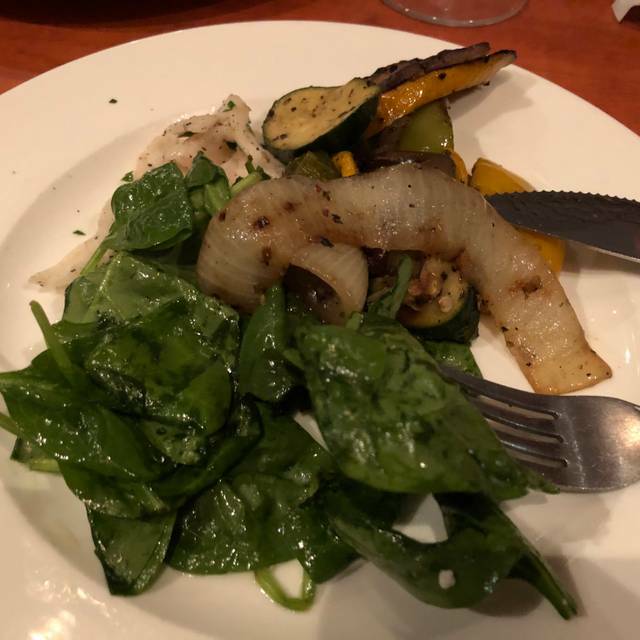 Food and service was amazing, table was ready upon arrival, would’ve given a “5” across the board but the salad bar was kinda small without as many options as I would expect given the pricing. I’m keto, so choices were limited to 2 items total from the salad bar. Otherwise, the meat was spectacular and service and presentation also exceeded my expectations. I do recommend! Was looking forward to dancers but there was none on Thursday's. The steaks were amazing, great spot for a date. Workers were really nice and funny. 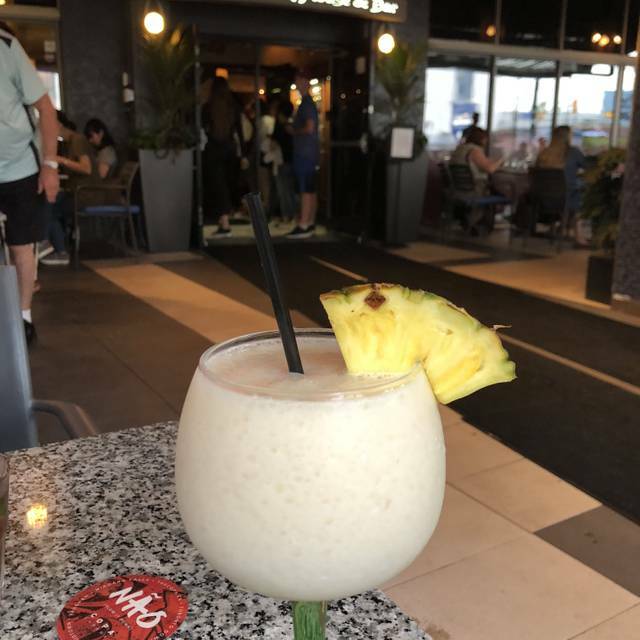 The pineapple was amazing too, need to find the recipe. Definitely come with an appetite! The food was absolutely amazing throughout the night. Service was good, but the one carver Max was exceptional. He went above and beyond to make sure we had everything we needed and tried everything we wanted to try. He was so generous. Amazing! Always a go to for us when we are in town. Never fails to be delicious and the staff are so nice! We went on a slower night so it was quiet but we also love going on the weekends and seeing the dancers. It’s a must visit while at the falls! Loved the staff loved the food loved the atmosphere. We will be back ! The first time we were here it was amazing. This past weekend visit left a lot to be desired. Some of the meat, like the lamb and bacon wrapped filet minon and some leftover pieces of meat, seemed to be off leaving bad tastes in the mouth that ended up in the napkins instead. There seemed to be some staff turmoil. Our table was a 4 made into a 5 with little pull-up leaves that were lopsided and we had to hold onto our plates so they wouldnt fall off the table. Amazing selection of meats and all the waiters and waitresses were so kind ! 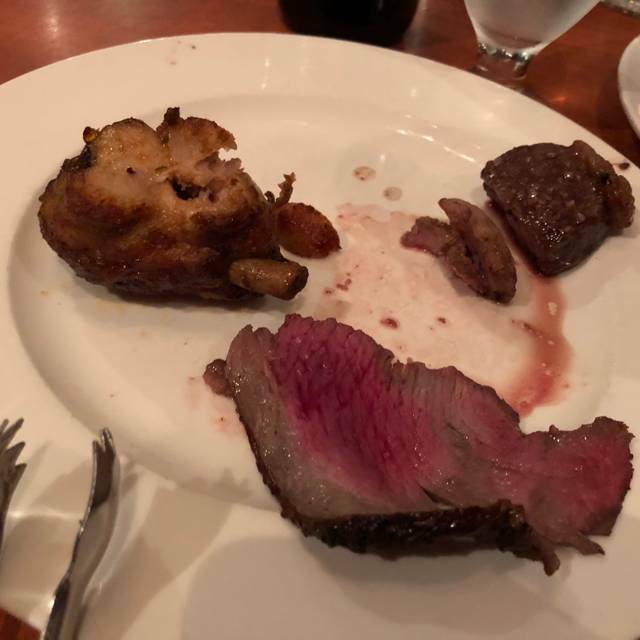 Only thing is I wish the selection at the buffet part was a little larger, but at the same time you do not want to fill up on other stuff when there are such wonderful meats. Cannot wait to go back again ! Meat was delicious! 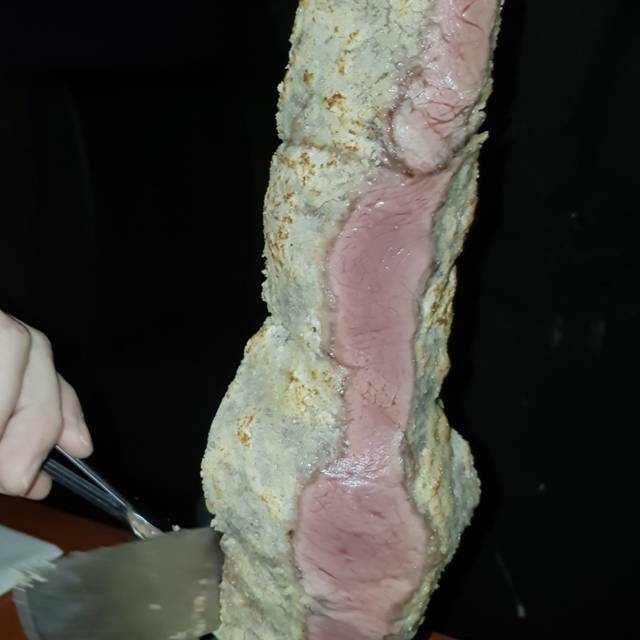 Buffet bar was pretty good, but not the best we have had at other Brazilian steak houses. Staff was very friendly and accommodating. This was our first time at Copacabana. What an amazing experience! We will definitely be back! Don’t skip the grilled pineapple, it will change your life! I cannot say enough good things about Copacabana Brazilian Steak House!! We were visiting Niagara Falls for my birthday and this was recommended by the locals as the place to go -- and I have to say, We were definitely not disappointed. From the service the minute we walked in, to the spectacular selection of meats, to the manager making his rounds and welcoming each table personally, this restaurant truly blew all others out of the water! It was my first time in Copacabana and I cannot say how great it was! All foods and salads are fresh and tasty, service is super-fast, and staff are super-friendly. They were not busy but did not accommodate without reminders comments in booking sections for special requests. (I asked for booth because of disability in hearing, but they did not seat us there even though they had open booths.) We booked for 830 dinner on a Thursday. There was only one person with meat visiting tables as of 1000pm. By 1030pm, he just walked up and asked what we wanted to be finished. When he returned with meat, he was rude and said we "could just have it all" because we were close to last in restaurant to leave. The tone was terrible. We were an inconvenience for even sending in orders with one server. It was unacceptable service. Just rude and ignorant. I would rather the restaurant cancel on me last minute than paying for this. Outstanding dinner! Waitress and meat carvers were wonderful! Highly recommend. Awesome food! Great portions, despite the variety of meats! Food was great. Little wait for meat servers sometimes. But left full and content. Everything was fantastic- only minor complaint was having to wait 20 minutes despite having a reservation. Amazing service from the waitress. Great service, food was fantastic. Definitely recommend making reservations, and allocating at least 1.5 - 2 hours for dinner. Come hungry! Had a great time and the food was delicious.